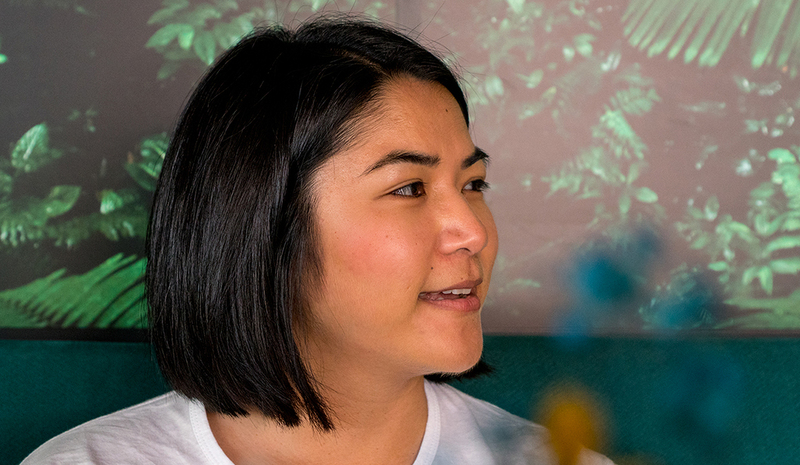 10 Things To Do in Medellín, Colombia – Bored. Boring. Boredom. The bustling metropolis nestled within the Andes Mountains offers an exciting blend of big city fun and cultural history. As an up and coming tourist destination, Colombia has seen strides in shedding its seemingly unshakeable past as a dangerous and volatile country. With ever increasing development in tourist-friendly infrastructure (accessible public transportation and hotel accommodations), restaurants with local cuisine fused with international flare, and an energetic nightlife that seems to never stop– it’s not hard to see why Medellín, and Colombia as a whole, is on many travelers’ wish lists (and on Lonely Planet’s Top 10 Places to Visit in 2017). Here’s my definitely not definitive list of some fun things to do while visiting Medellín. The colorful walls of La Comuna 13. 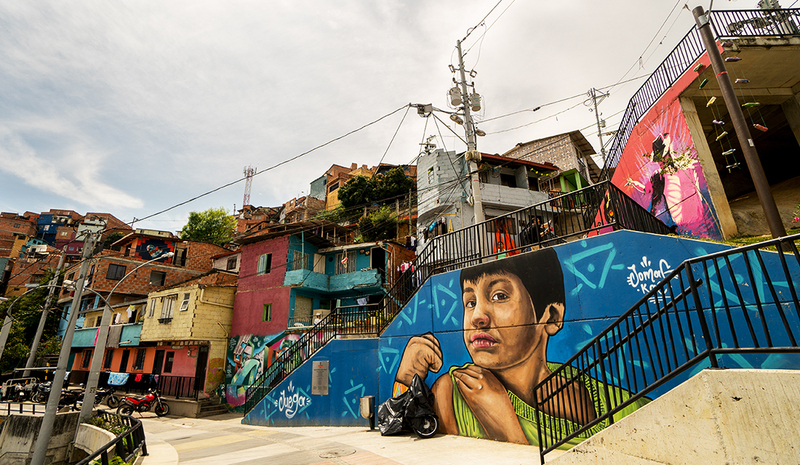 The graffiti and murals of La Comuna 13 are a testament to the resilience and change in what once was the most dangerous neighborhoods in Medellín controlled by the cartels. Now the barrio is filled with vibrant murals (with new art going up constantly), lively music played by DJ’s on the street, and children whizzing by on bicycles. At the top of the newly constructed escalators is a great view and photo op of the neighborhood and city below. La Comuna 13 is easily accessible via taxi or by signing up for one of the many walking tours in the area. And don’t forget to support local shops and booths for a water break, ice cream, or souvenir. A quaint view of the replica pueblito from above. Pueblito Paisa is a fun diversion in the middle of the city, offering a historical look at a traditional Antioqiuan village with an opportunity to see what life was like before all the modern skyscrapers dotted the lush green mountainside. The main building includes a few rooms adorned with antique furniture and home goods that lead into a small tranquil garden at the center. There’s also a local city museum, restaurant on the second floor, and smaller food stalls along the path that continue up to Cerro Nutibara. Just one of the stunning city views from the top of Cerro Nutibara. After your visit to Pueblito Paisa, a short walk up a path leads to the majestic, panoramic views of Medellín and the lush green landscape. Cerro Nutibara is located at the geographic center of the city and it’s here that you can really appreciate the area’s nickname as the City of Eternal Spring. 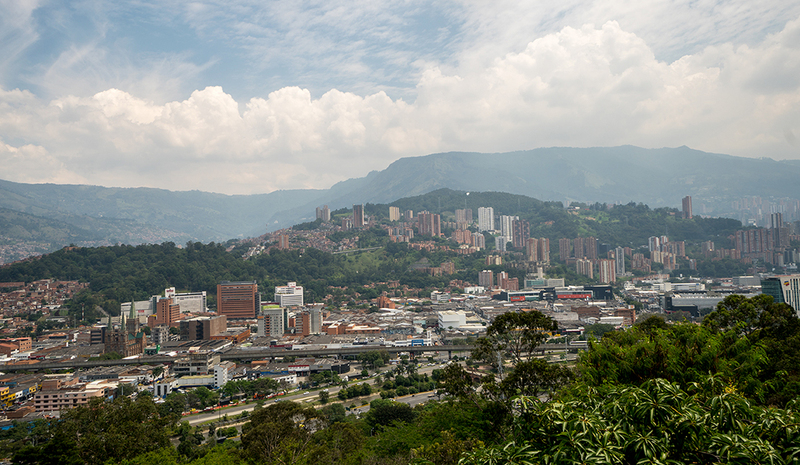 Thanks to the high altitude and mountainous surroundings, Medellín enjoys temperate weather conditions year round. And maybe it’s because of this that the people and vibe of the city seem pretty laid back and relaxed. 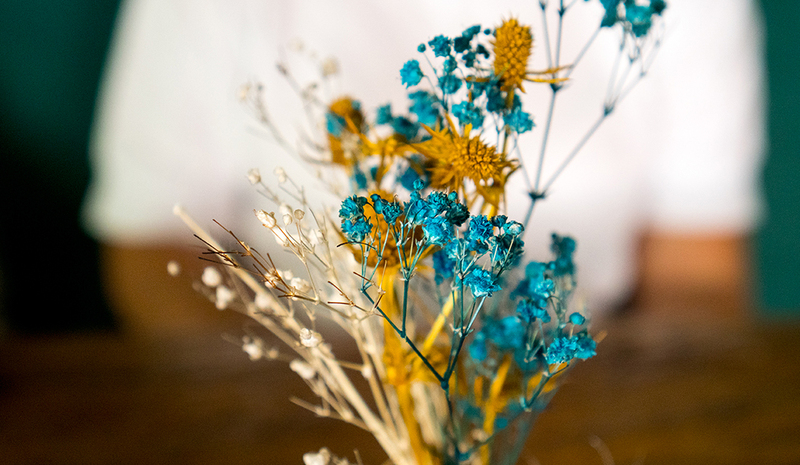 Close-up of flowers at Botanica Lounge. El Poblado is the wealthiest neighborhood in Medellín, with the hotel and restaurant prices reflecting its upper class residents and visitors. 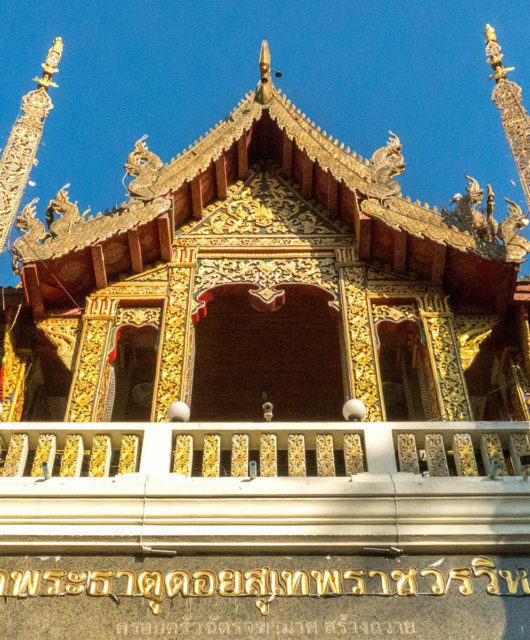 It’s here that you will most likely be staying in, and for good reason– there are enough places to wine and dine in the area that you’ll be hard-pressed to see them all. Some of our favorites included the popular and expensive restaurant Carmen (make sure to book a reservation in advance), Mondongos on the main street of Carrera 10 serving more traditional Colombian fare, and the delicious cocktails and appetizers at Botanica Lounge. There’s also a Juan Valdez Café for your daily fix of Colombian caffeine. My travel partner in crime taking in the sights. 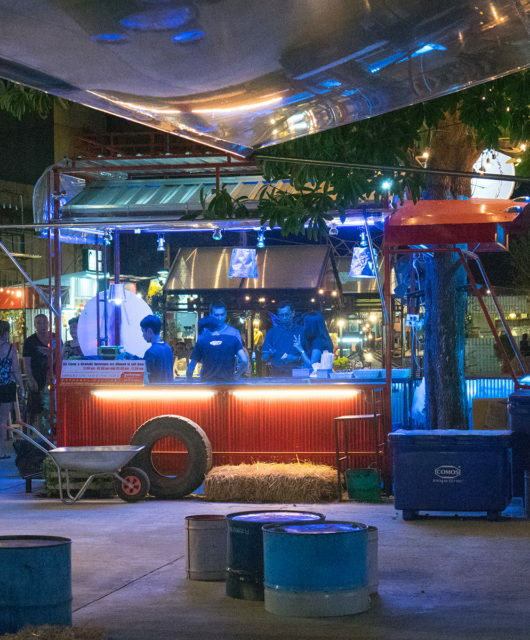 Before you hit up the plethora of clubs and bars lining the streets of El Poblado, grab a couple of cervezas nacional (my favorite was the light and refreshing Colombia Dorada) from a neighborhood liquor store and chill out in Lleras Park, which is right smack in the middle of all of the mayhem. Many locals hang out here, either to pre-game, see or be seen. Some even skip the park altogether and literally just sit in front of the liquor stores and enjoy their libations straight away. 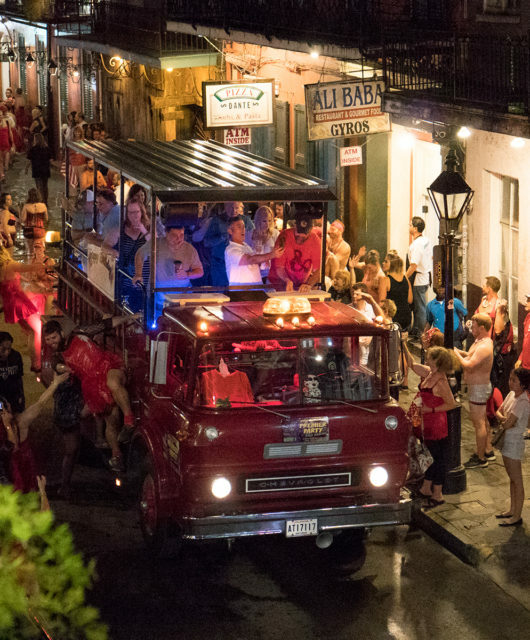 This carefree and relaxed attitude towards nightlife very much reminded me of the French Quarter in New Orleans, with throngs of revelers strolling up and down the streets looking for the next spot to have a good time. I’ve never watched an episode of Narcos. We happened to drive through Barrio Antioquia and our local guide casually mentioned that we were about to drive past the former house of Pablo Escobar. Not one to miss out on opportunity to see where one of the most powerful and feared men in the country met his end, we pulled to the side to snap a few photos. Apparently, there have been so many curious visitors attempting to make their way onto the property that the current residents decided to build a wall to keep them out (pictured above with graffiti). 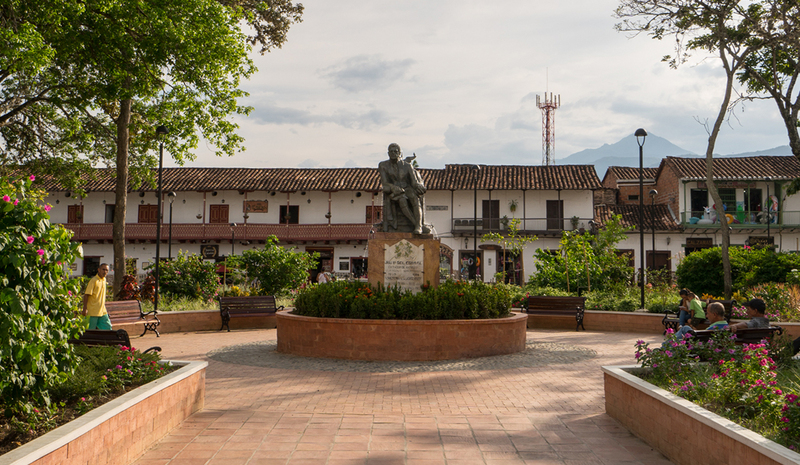 The calm central plaza of Santa Fe de Antioquia. 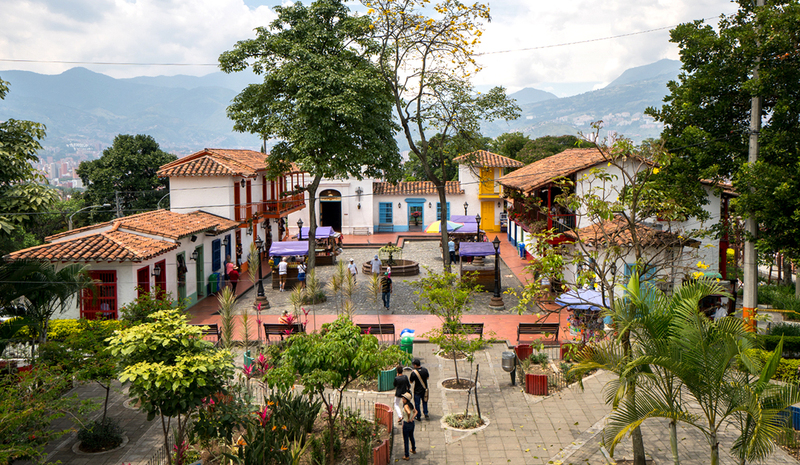 About an hour and a half drive out into the countryside is the small, colonial town of Santa Fe de Antioquia that offers a nice break from the energy of the city. Along with the picturesque, cobblestone streets that wind their way towards the main square and Metropolitan Cathedral– the nearby Western Bridge suspended over the Cauca River adds another point of interest to explore in the area. Fun fact: The local and eccentric engineer José María Villa who built the wood and steel Western Bridge in the 1800’s also helped design New York’s Brooklyn Bridge. The full-bodied sculptures of Botero. 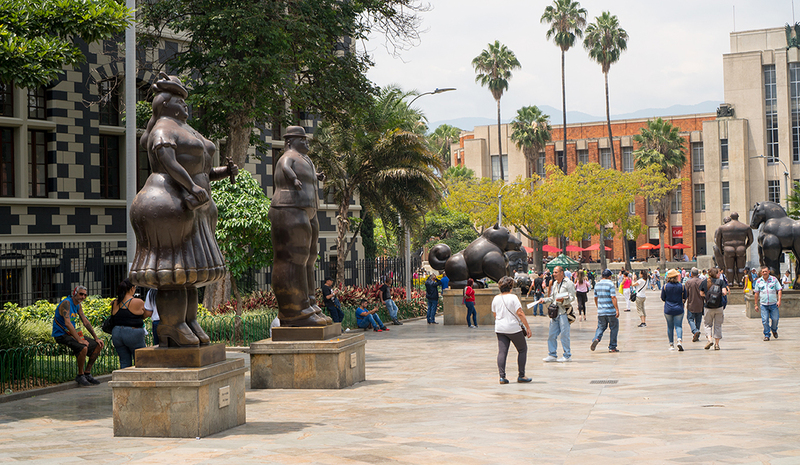 In downtown Medellín, you’ll find the towering sculptures of famed Colombian artist Fernando Botero mingling amongst the buzzing passersby. Botero’s point of view is so singularly unique and distinctly South American, it almost seems as if these bronze giants inhabited the square even before people did. The nearby cultural building, with its iconic black and white tile work, adds to the surreal atmosphere of the plaza (along with plenty of photographic opportunities). The entrance to the museum that opens up to Botero Plaza. 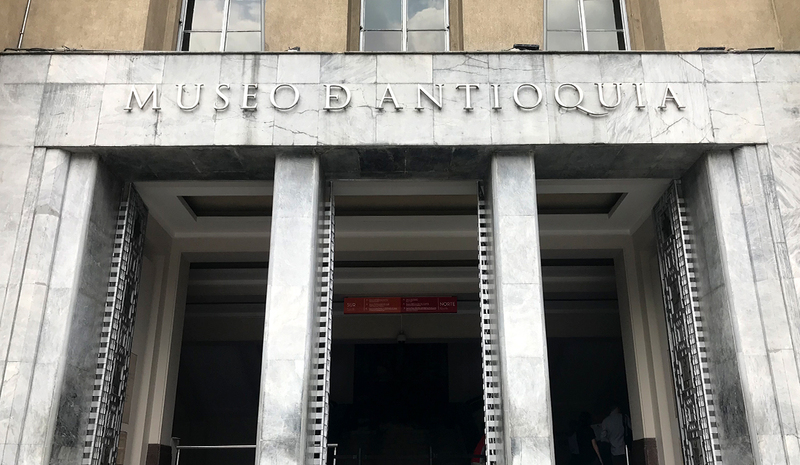 Located within Botero Plaza is one of Medellín’s historical art museums, Museo de Antioquia, which also houses many more of not only Botero’s sculptures, but some of his paintings and earlier works as well. Works range from classical fine art with religious significance to modern pieces dealing with the social and political impacts the country has experienced in recent decades. One of my favorite pieces is located right next to the entrance in a glass case, and is an amalgamation of a guitar and automatic rifle– a fitting visual metaphor for the contrast in Colombia’s rich cultural history and brutal, tragic past. A picturesque scene of Lago Bosque on a perfect Colombian day (72 degrees and sunny). 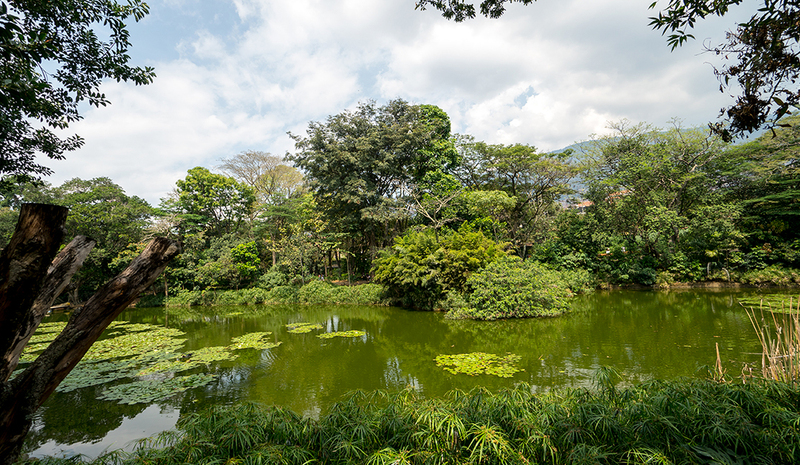 To round out the list is Medellín’s beautiful Botanical Garden. 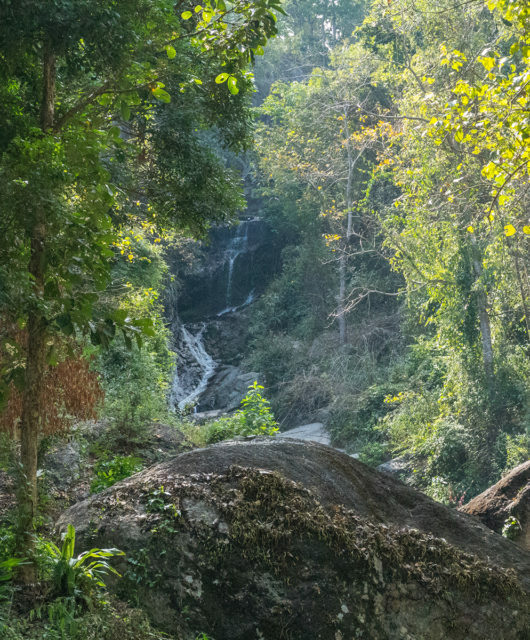 Enjoy a peaceful stroll along the many pathways through diverse ecosystems of the park, including a cactus-filled desert section and boardwalk lined rainforest. Visitors can also relax and picnic by the water, or take in a concert in the brand new outdoor amphitheater venue. There’s also various wildlife residing in the park that can be spotted, such as iguanas, birds and turtles lounging about. 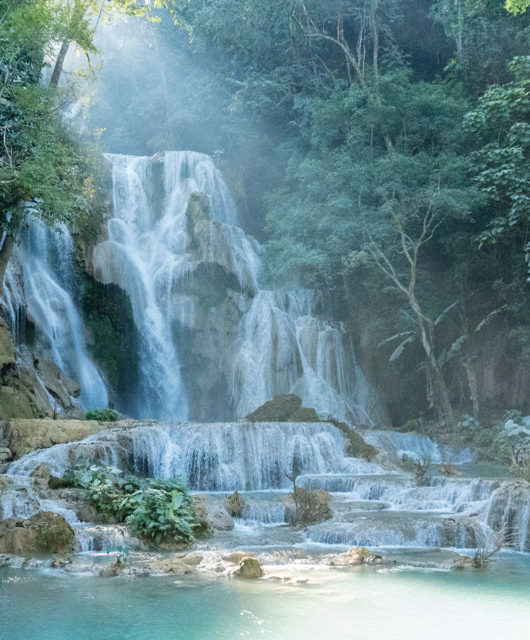 For all intents and purposes, I’d venture to say that just as many travelers come to explore this beautiful country for its newfound accessibility as for its very reason for having been inaccessible in the first place. 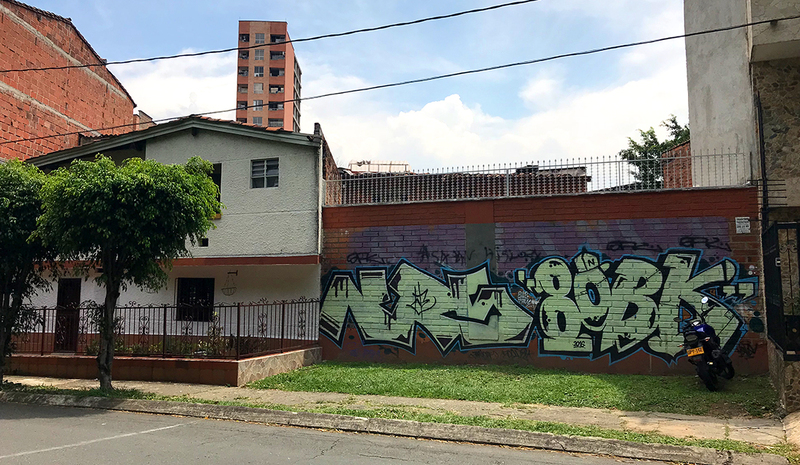 What a strange contrast, then, that visitors come in search of Narcos-inspired adventures but are met with paisas proudly sharing their affection for how much Medellín has changed since the days of Pablo Escobar. Having never visited South America before, Colombia was the perfect introduction into a region I’m definitely looking forward to exploring in the future. Thanks for reading!